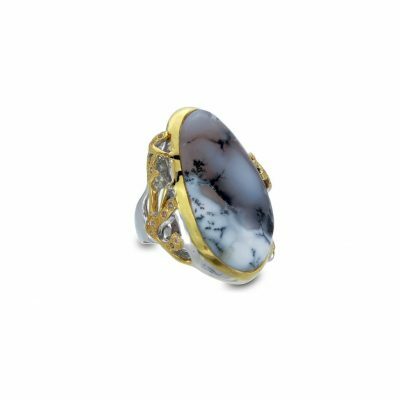 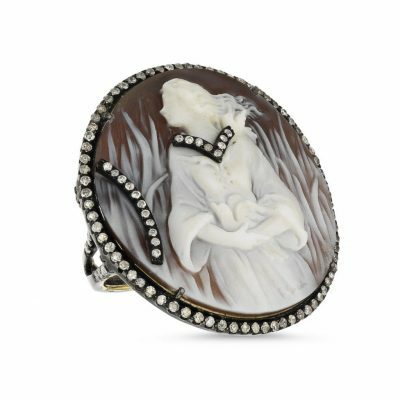 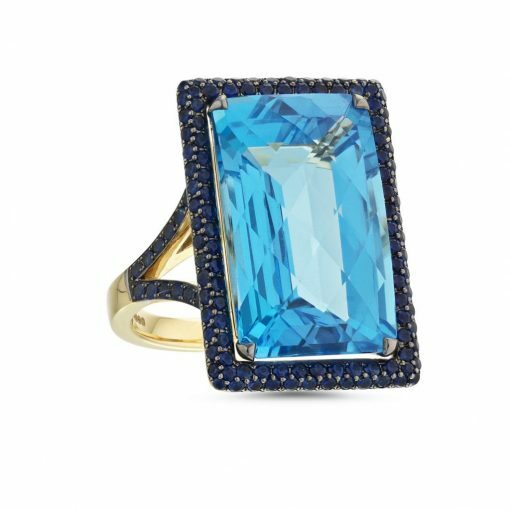 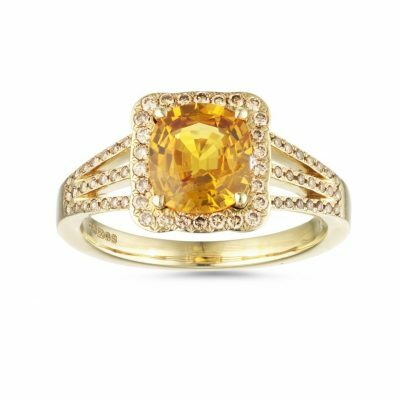 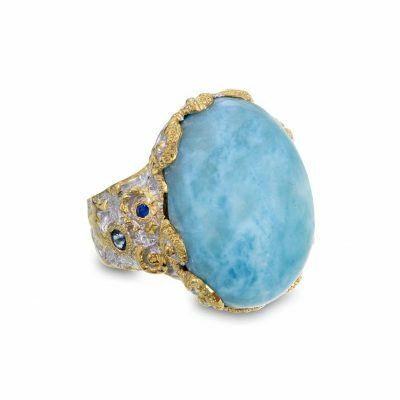 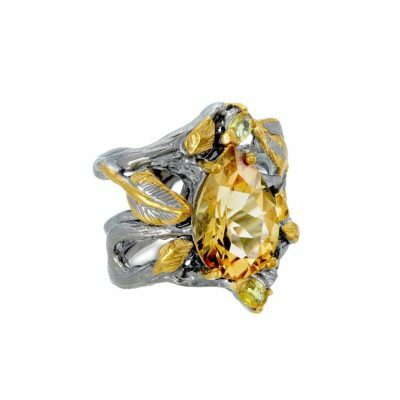 This ring has been made by hand from 18 carat yellow gold, set with a large blue topaz gemstone, surrounded by blue sapphires. The sapphire detailing continues down the band of the ring. 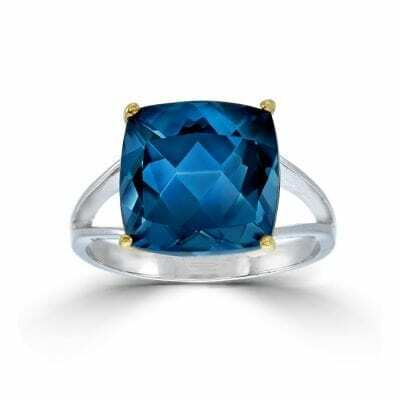 The blue topaz measures 20mm x 10mm.